A: No, it was something that sneaked up on me when I was in my late twenties. I certainly didn’t think of ever being a bona fide author, I just thought of it as an enjoyable hobby. Q: Did anyone or anything particularly inspire you to write? A: The one single thing that inspired me to write was a love of reading. From a very early age I loved to lose myself in a good book and one day I began to wonder if I could take that sense of escapism to another level and lose myself in a book of my own making. A: I’m fortunate enough to divide my time between living in a picturesque village in Suffolk and Lake Como in Italy. 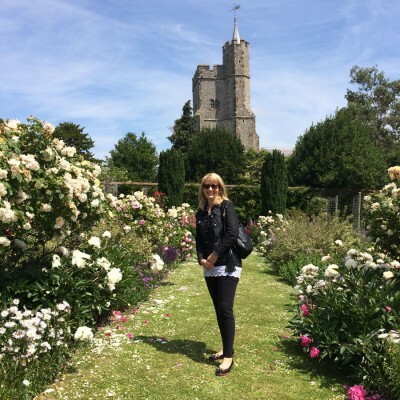 For nearly all my adult life, apart from a brief spell in Belgium, I’ve lived in the north of England – Cheshire and Yorkshire – and have used those places as settings for my novels. Now Suffolk is featuring in what I write. Q: Is your writing environment important to you? A: It’s extremely important. When I’m at home in Suffolk I write in my study where the walls and shelves, and my desk, are cluttered with things that have a special meaning to me, including a zillion photographs of my sons who have long since left home. In Italy my work area is much smaller and therefore less untidy. When I’m ‘stuck’ with a particular scene in a chapter, I step outside onto the balcony and watch the boats passing by on the lake. It never fails to provide the necessary distraction for my brain to re-boot. Q: What guilty pleasures do you have? A: I’m afraid this is a really bad one; when I’m in Italy I’m addicted to a terrible soap there, but in my defence I claim it helps to improve my Italian. It’s called Tempesta D’Amore and is shown five or six times a week and is actually a German programme – Sturm der Liebe – and translated into Italian. The acting is shockingly bad and the dialogue so clunky and slow I can just about keep up with the plotlines, which always seem to revolve around affairs and long-lost love children along with no end of implausible acts of skullduggery. It all takes place in the Furstenhof, a five star hotel in the alps, so it’s essentially Crossroads with beautiful scenery and dirndl dresses and Loden coats. Q: Any other guilty pleasures you’re prepared to admit to? A: Hmmm … well, the reason I feel slightly guilty about this particularly pleasure is because of the competitive monster it brings out in me whenever I play it. 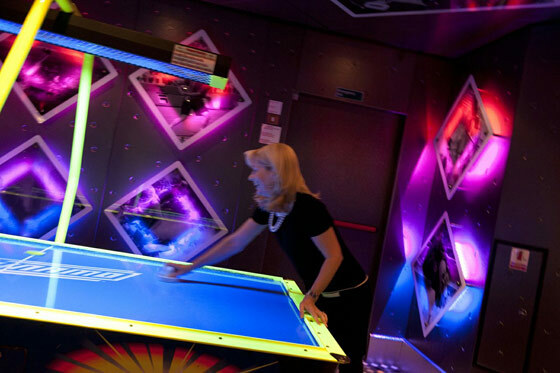 I’m talking about air hockey and if it were ever made into an Olympic sport, I’d be a world champion! There are few things in life I play to win, but air hockey is definitely one of them, just ask my sons who have witnessed many a scary glint in my eye when I suggest we have a game. Q: Do you have a recurring dream? A: I have several and they’re usually indicators of how stressed I am. They’re the usual kind of anxiety dream – teeth falling out … unable to reach the pedals whilst driving … unable to find a toilet. I also regularly dream of water. I grew up by the sea and firmly believe that it’s a part of my psyche. I realized a few years ago that nearly all my novels feature water one way or another, whether it’s the sea, a river, a pond or a lake. Q: How do you think your childhood shaped you as an adult? A: I spent a lot of time on my own when I was growing up and as a result I’ve always been very self-contained. When I’m fully absorbed in my writing I can happily go for several days without feeling the need to talk to anyone. Q: What were your favourite subjects at school? A: French, History and English. I quite liked Rural Studies, but then that was mostly an hour of messing about in a greenhouse, so what’s not to like? There’s a scene in Gardens of Delight that I pinched from one of those ‘messing about’ lessons, it involves a hose and some flowerpots … Sadly I was a total dunderhead when it came to Science and Maths. I still am. And don’t ask me what my IT skills are like. A: Public speaking. There’s nothing scarier than standing up in front of an audience for a book event. Q: Which comes first, the characters or the story in your novels? A: The characters always come first, it’s their interaction that creates and drives the story. 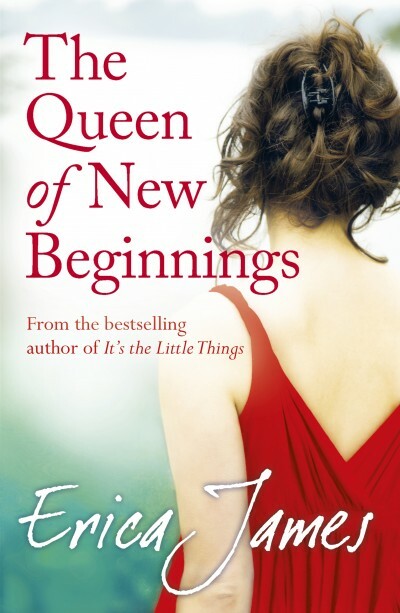 Q: Your novel, The Queen of New Beginnings, has a strong male perspective, is this something you enjoy doing? A: I’ve always enjoyed writing from a male perspective and the character of Clayton Miller was a particular pleasure to write. In fact he was the catalyst for the story. He first came into my head when I imagined a man cynically composing his own obituary. He then established himself in my thoughts as an intriguing character who I wanted to get to know better. Within in no time I could hear his voice and knew exactly how he would interact with those around him – this was long before I actually started writing the book. I saw him as a misunderstood man, lost and adrift, a man who was his own worst enemy. But mostly I saw him as being quirkily likeable with his heart in the right place. The fact that he was comically inept added greatly to the appeal of his character. I love the scene when he’s trying in his typically cack-handed way to make toad in the hole for dinner with Alice. A: Alice was, of course, the perfect counterpart to Clayton. With the eccentric father she had grown up with, she was always going to take Clayton in her stride. Q: If The Queen of New Beginnings was made into a film, who would you cast as Clayton? A: When I was writing The Queen of New Beginnings I had the actor Martin Freeman in mind. With his naturally self-effacing manner he would be perfect in the role of Clayton and just as soon as he’s finished with The Hobbit I think he should get in touch with me! Q: Does that happen often, that you have an actor in mind while working on a novel? 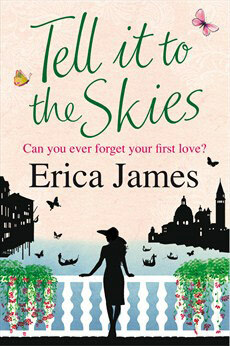 A: Not really, although it did when I was writing Tell it to the Skies. Every step of the way I had David Tennant in mind to play the part of Noah as an adult. I also imagined Sarah Lancashire doing the audio book for me – I could literally hear her reading to me while writing – and was delighted when she agreed to do it. Out of all my novels which have been made into an audio book, this is absolutely my favourite.